Farmer Skint and his family have fallen on hard times at Woebegone Farm until their goose lays a golden egg. 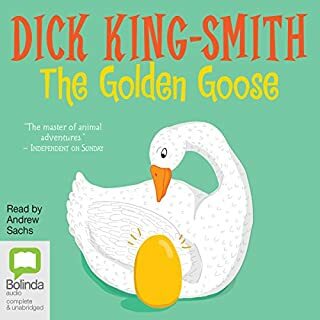 With the birth of Joy the Golden Goose, the fortune of the Skint family begins to change. But what will happen when people find out about their golden-feathered friend? How long can they keep Joy a secret? Flightless, helpless and often, frankly, more than a little silly, chickens are no match for the cunning, merciless foxes stalking their coop. Or are they? Thanks to a careless farmer and generations of determined foxes, the chickens on Foxearth Farm have evolved into quick-witted, long-legged, high flying fox dodgers. Then, just a week after a vicious fox ambush in the water trough, three sisters are hatched. And Ransome, Sims and Jefferies are no ordinary chicks: they grow up determined to fight back. Can Danny and his father outsmart the villainous Mr. Hazell? Danny has a life any boy would love - his home is a gypsy caravan, he's the youngest master car mechanic around, and his best friend is his dad, who never runs out of wonderful stories to tell. But one night Danny discovers a shocking secret that his father has kept hidden for years. Soon Danny finds himself the mastermind behind the most incredible plot ever attempted against nasty Victor Hazell, a wealthy landowner with a bad attitude. Can they pull it off? If so, Danny will truly be the champion of the world. Harry Holdsworth had never heard of his Great-Uncle George until he inherited the old man’s most cherished possession: an African Grey parrot named Madison. Harry’s first reaction was one of dismay. Who wants a big pet bird – one that could live for another 40 years? But when Mad introduces himself in perfect American, Harry discovers he has found a friend – and more. My favorite animal story. It's so adorable! 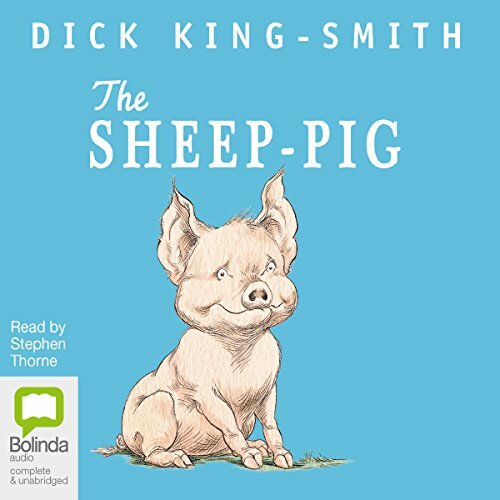 STORY - Babe (or B-a-a-a-a-a-b as pronounced by the sheep) is a pig who is raised by a collie sheepdog and wants to follow in his mother's footsteps. Most of the story takes place on a sheep farm somewhere in Wales or maybe Ireland (not sure). Yes, it's totally fictitious and unbelievable, complete with talking animals, but it's heartwarming and clever. If you saw the movie "Babe," this is the same story. 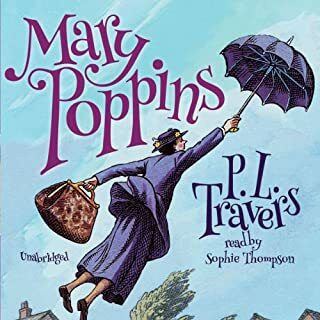 OVERALL - I listened to this book alone because I loved the movie years ago and wanted to hear the story again, but I'd highly recommend it for family road trips! One caution for animal-lovers, however: There is a sad part, but it doesn't last long and then the story is happy again. If you lived the movie Babe you will love the story it's based on. I love this story very much. I'm sure you will too. The originsl story behinf Australian film "Babe", about the sheep herding piglet. 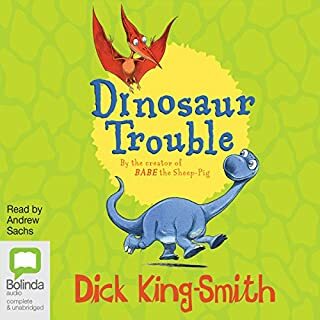 Here, Babe grows into a proper adult Great White hog, and alas, there are no singing mice, but it's still a beautiful story, with beautiful narration. Recommended for young and old alike. IT IS SOOOOOOOOOOOOOOOOOOOOOOOOO GOOOOOOOOOOOOOOOOOOOOOD!!!!! If you like sip rises or comity this is defiantly the book for you. This is a great little book. Listen to it with your kids or on your own. Definitely a fun read! 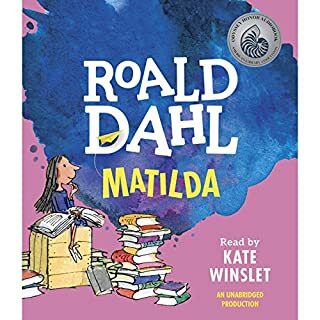 This is one book that I appreciated hearing read aloud perhaps more than I would have actually reading it. The narration was so very skillful. I especially enjoyed hearing Mrs. Hoggett voiced. No, maybe Fly was my favorite. I can't decide. 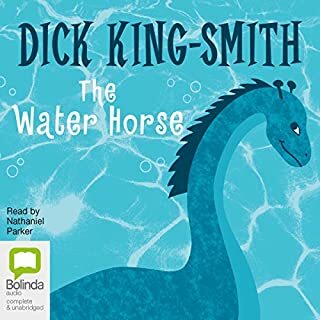 It was a lovely story, and I thank author and narrator for a delightful experience. I very much enjoyed both the book and its performance! It's a lovely lesson on politeness and not being prejudiced, while at the same time being very entertaining and funny! If you liked the movie then you will love this book! Everything about this reading is outstanding. I have over 600 books in my library and I consider this as one of the best. 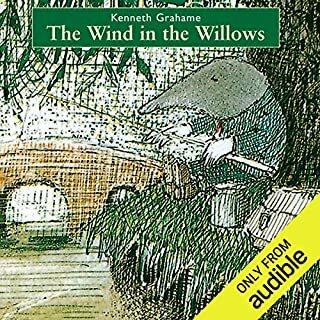 My daughter loved this audiobook and could not wait to listen to it each night before bed.